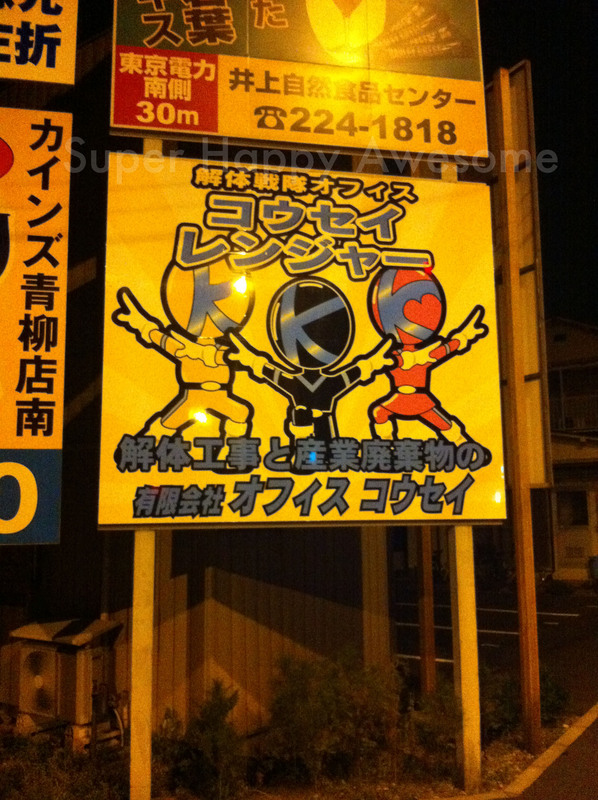 This sign is right near our apartment, and it wasn’t until recently that I realized that Power Ranger looking figures were, in fact, the KKK Rangers. Obviously it doesn’t mean the same thing here, and might not even mean much if you’re not from below the Mason-Dixon line (a.k.a. “The South”.) But still, it’s a little…awkward. This entry was posted in Engrish and tagged engrish, power rangers, rangers, sentai. Bookmark the permalink. It’s okay because one of them is black, right?